What a great meeting–July 2012! Our July 12 meeting was one of the best we’ve had yet. Around 40 ukers attended–it was one of those meetings where we had to carry many chairs out of the storage closet at the Memorial Church. 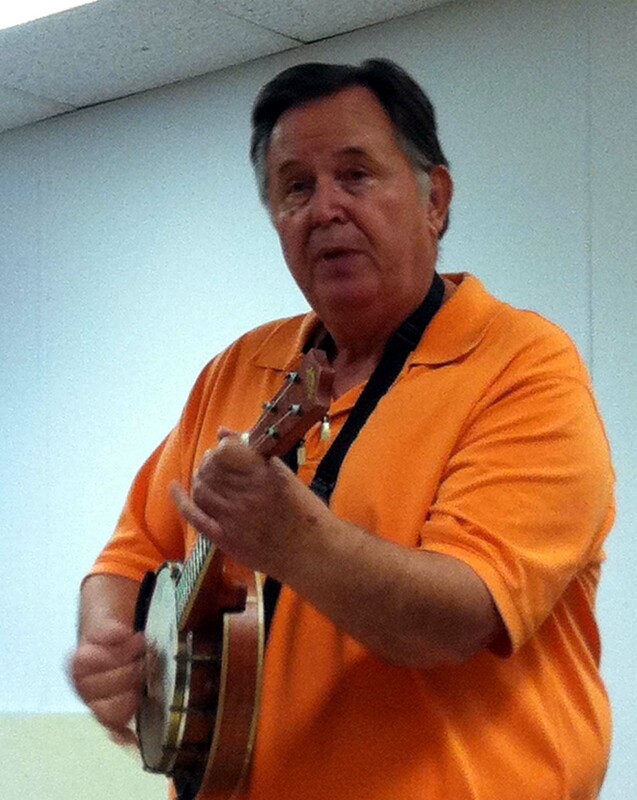 Bob led the group in our new song-of-the-month, “Sway.” which sounded great. 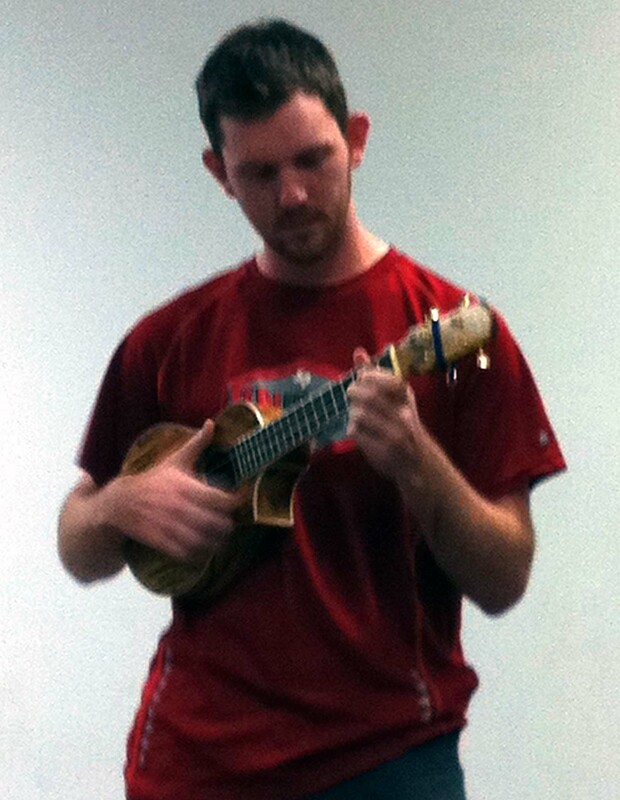 He taught us how to play a solo for the song, the tabs for which should appear in our Ukulele Music Library soon. 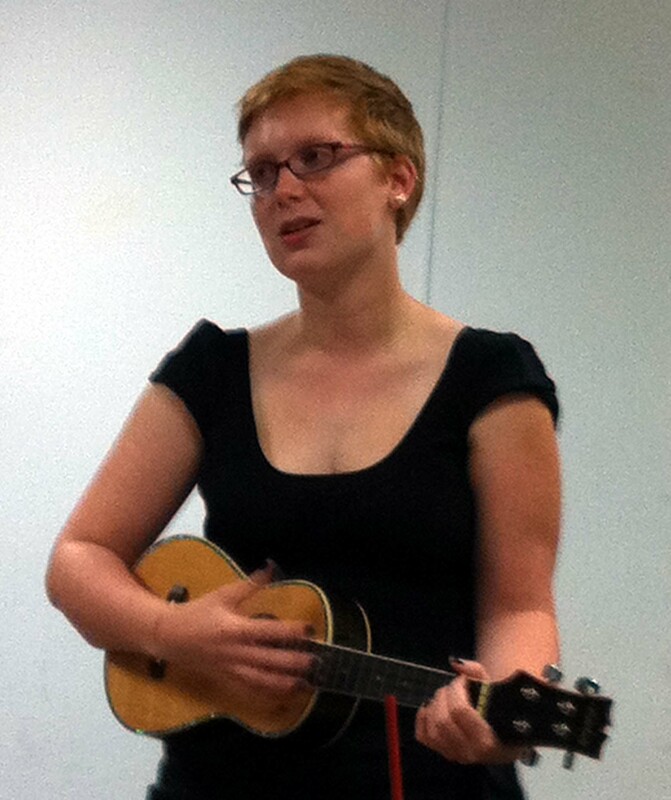 It was also great to see so many folks playing a solo number. We should give out our thanks to our performers: Ray, who played “Pancho and Lefty”; Woody, who performed “Alabama Jubilee” on his banjo uke; Jason, who did a great clawhammer solo, and Bill and Kathy, who sang “Suspicion,” one of their duets we’ve come to know so well. We all had a great time, and want to encourage you to join our group of solo performers–there isn’t a friendlier audience anywhere!